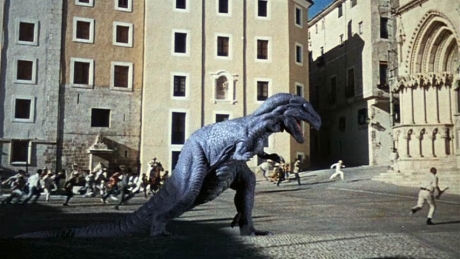 Jim O'Connolly, The Vallery of the Gwangi, 1969. 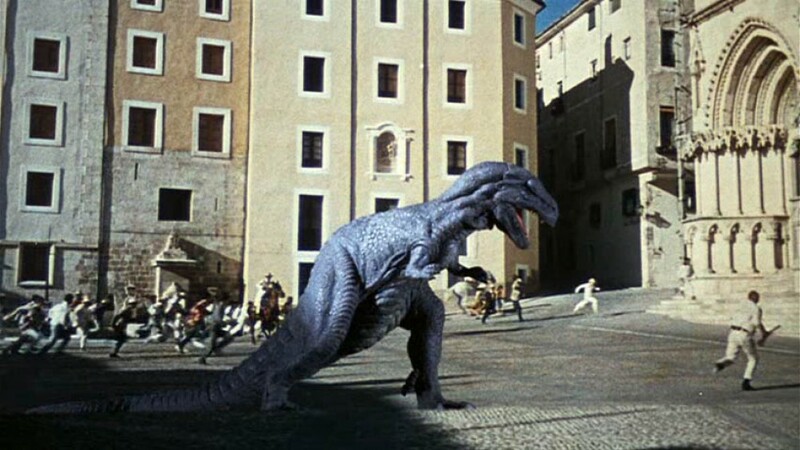 Halfway between Rio Bravo and Jurassic Park, this feature classic is brought to life by the stop-action special effects talents of the legendary Ray Harryhausen. In this family friendly film, members of a struggling Wild West show discover what will become their newest attraction in Mexico: a tiny prehistoric horse. Exploration into a nearby forgotten valley uncovers living dinosaurs, including the fearsome ‘Gwangi’, a dinosaur that the cowboys capture for exhibition. But as everyone knows, monsters in cages always break free, and soon enough, the beast is running amok. This film also screened on Sat 11 March at Sunderland Museum & Winter Gardens.